Can’t say that I have “a” favorite — but I’ve always found the “St. Crispin Day” monologue from _Henry V_ to be exceptionally compelling. Anything/everything from Hamlet. And of course _Twelfth Night_ as I’ve played Puck twice on stage. Then there are the sonnets. And yes, _Merchant of Venice_ … Perhaps _King Lear_? Oh! _Macbeth_! … and the rest of the corpus. I bet you were a Terrific Puck! I know. It’s hard to pick “a” favorite. I loved going to the Old Globe Theatre productions in San Diego when I lived there. I haven’t been to Ashland “yet” but will one day! 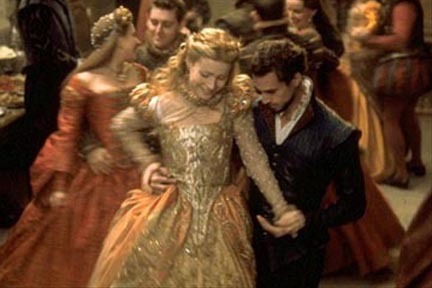 I love watching Much Ado About Nothing with Kenneth Branagh & Emma Thompson. They’re really funny together. I loved Emma Thompson in anything, but those two were terrific in Much Ado About Nothing. Oh, and the Tuscan scenery was to die for!